We know that you– parents and caretakers–are the experts on the needs of your loved ones. You have lived with them, cared for them, fought hard for them, and done everything within your power to help them achieve their goals. We, therefore, work closely with you to assess their needs and then document those needs clearly,so, together we can develop a successful program. Vista provides services to families who are eligible for Regional Center services, health insurance coverage, or who wish to pursue private pay options. Call us today and we can offer more guidance regarding funding sources. Each of our clients are unique individuals, so at the outset of each program Vista conducts an individualized needs assessment. To start this evaluative process, a Case Manager will meet you and your loved one in the comfort of your home to conduct a comprehensive assessment of his or her current skills, deficits and capabilities, and identify those specific areas in which intervention is most necessary. A Needs Assessment is generally conducted during multible sessions and in various settings, leading toward a comprehensive written report. This report will contain recommendations for specific goals. Skills will be systematically trained and measured, so that progress on goal attainment can be determined on a day-to-day basis. One or more Behavior Interventionists (BIs) who will work with your child one-to-one for multiple hours per month. We’ll use a variety of ABA procedures to help him or her make the fastest progress possible. Your Case Manager will continue working with your family, overseeing the quality of your child’s progress through observation and supervision of the BIs and addressing any concern you may have about his or her treatment. The Case Manager and BI will also train you, so that you thoroughly understand your child’s program and that you are able to apply essential elements of the program, to assure that your child’s program is applied consistently. Your participation will lead to more rapid and sustained progress. Based on the pioneering research of world renowned psychologists Dr. B.F. Skinner and Dr. Ivar Lovaas, ABA is a dynamic and robust service that assesses and assists each client individually, identifying his or her current skills, as well as those areas in which the individual needs specific support to achieve these goals. 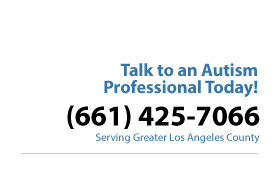 Dr Lovaas (1927-2010), was a UCLA psychologist and is considered to be one of the fathers of ABA treatment for autism. Dr. Skinner (1904-1990) was a Harvard psychologist who was one of themost influential psychologist of the 20th century, for his contributions to the philosophy and science of behavioral control. We follow Applied Behavior Analysis (ABA) best pracitices our treatment methodology for all of our clients. Our personnel are highly trained in the field of ABA and our senior clinicians have achieved the nationally recognized credential of Board Certified Behavior Analyst (BCBA). Pivotal Response Training (PRT) involves the training of “pivotal” skills, such as motivation and the ability to respond to multiple cues, that when learned result in gains across previously untrained behaviors. PRT has been used most successfully for teaching language, play and social interactions in children with autism. Planned Activities Training (PAT) teaches parents and caregivers to prevent situations, in which a child’s disruptive behaviors are likely to occur. PAT skills consist of explaining activities, rules, and consequences; planning in advance; and engaging in activities through incidental teaching. Adaptive Skills Training (AST) is provided for children, adolescents and adults. Vista’s adaptive skills trainers work directly with the client and his/her family to help the client reach the highest level of independence and acquire age-appropriate adaptive skills in the home, work, school, and community settings.